The property world is rapidly changing as new technologies have become much more powerful and disruptive, transforming many players in areas such as property management, construction, maintenance, land registration and legal services into high-tech ventures. 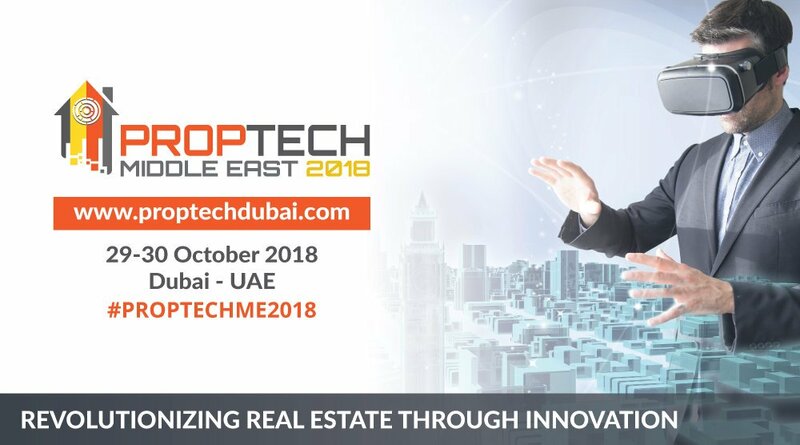 That said, Dubai could turn into a hotbed of property technology or proptech as several start-ups have descended on the emirate to tap into its lucrative real estate market. “There are a number of technologies that are driving real estate tech in the UAE and making proptech flourish here,” says Jappreet Sethi, CEO of YoStartups, an India-founded start-up accelerator with a special focus on proptech in Dubai, citing virtual reality, big data and blockchain as emerging game-changers. Another Indian firm, SmartVizX, is bringing to Dubai its virtual visualisation, collaborative design and architectural visualisation solutions. “We are creating realistic views of what enables both property owners and trade professionals to design and plan for every minor detail of property being built,” explains Gautam Tewari, the firm’s founder and CEO. Richard Waind, director of Better Homes, says virtual and augmented reality have become particularly useful for UAE brokers. “In terms of marketing and viewing property, virtual reality and augmented reality have fantastic applications that are particularly relevant in the UAE where there is a high percentage of international investors,” says Waind. Dubai-based Artar Real Estate Development was among the first to adopt these technologies here, offering location-independent virtual tours of its Mada Residences development in Downtown Dubai. “I expect this will be a trend we will see much more from the industry over the coming years,” says Sulaiman Abdulrahman Al Rashid, Artar’s CEO. Another early adopter of virtual reality is Seven Tides International, which uses an application called Visual Navigator. “The tool allows prospective buyers, residents and investors to view two- and three-dimensional floorplans, take specialised 3D tours and view relevant images, videos and floorplans,” Abdulla Bin Sulayem, CEO of Seven Tides, tells Property Weekly. A recent addition to the club is Deyaar, which uses Microsoft’s HoloLens technology to create a “mixed-reality” environment. The technology superimposes virtual elements (holograms) onto the real world. “Deyaar aims to deliver high-quality real estate developments and differentiated services — and technology is at the core of this,” says Saeed Al Qatami, CEO of Deyaar. The Dubai Land Department’s (DLD) blockchain strategy announced in October last year has been an impetus in the use of blockchain technology in real estate transactions. The DLD plans to deploy blockchain for all real estate contracts, including lease registrations, in the future. The database will then be shared with utility providers and other property-related entities for more efficient operations. In a similar initiative, Wasl Asset Management Group partnered with German business software specialist SAP to implement a blockchain-based system that connects tenants, service contractors, building managers, government entities and even banks to improve and speed up services and payments. “This blockchain project gives our group a unique advantage, making us the first real estate service provider in Dubai and indeed the world to adopt this revolutionary technology,” says Hesham Abdulla Al Qassim, CEO of Wasl Asset Management Group. Big data analysis, meanwhile, opens the possibility to easily spot market trends and conduct data analytics. Consultancy firm Cavendish Maxwell, for example, uses big data for Property Monitor, which provides real-time real estate price index and other data. Better Homes, meanwhile, uses a solution developed by California-based Yardi Systems that centralises data for operational, finance, leasing and maintenance management. “Technology is now totally ingrained in our daily business functions,” says Waind.